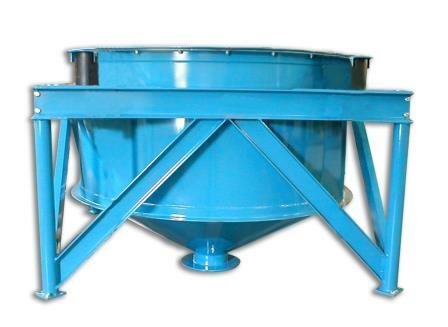 Vibra Screw offers a line of fully assembled, self-contained, ready-to-operate vibrating hoppers that promote flow of any dry material. Capacities range from 3 to 100 cu ft of storage. The Live Bin is designed to provide positive discharge of micron-sized to fibrous and flaky materials on a first-in, first-out basis, assuring mass flow and eliminating material segregation. They may be used to discharge to any feeder or process line or wherever a surge bin is required. Because the Live Bin's design does not require a flexible seal, it is especially suited for sanitary applications.